The Information Commissioner’s Office (ICO) has given Equifax a £500,000 fine for failing to protect the personal information of up to 15 million UK citizens during a cyberattack in 2017. The ICO is the UK’s independent regulator for data protection and information rights law. Its investigation, published today (20 September), found that although the information systems in the US were compromised, Equifax was responsible for the personal information of its UK customers. The UK arm of the company failed to take appropriate steps to ensure its American parent Equifax, which was processing the data on its behalf, was protecting the information. 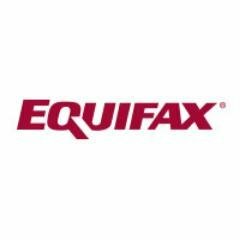 With interesting timing, Equifax posted its response yesterday (19 September) to the ICO investigation. The firm says it is “disappointed in the findings and the penalty”. The ICO’s probe, carried out in parallel with the Financial Conduct Authority (FCA), revealed multiple failures at the credit reference agency which led to personal information being retained for longer than necessary and vulnerable to unauthorised access. The investigation was carried out under the Data Protection Act 1998, rather than the current GDPR, as the failings occurred before stricter laws came into force in May of this year. The ICO says the fine is the maximum allowed under the previous legislation.